Implementing requirements down to the last detail also creates a foundation for long-term, successful partnerships. KEBA customers enjoy the best support. This ranges from the initial consultation on system design to installation and series production support. Our industry solutions make it possible to achieve maximum productivity and the fastest reaction times – even with reduced batch sizes and shorter product life cycles. Self-optimizing technology functions and an extensive simulation packet ensure the best results at an outstanding price/performance ratio. The numerous customization options of the KEBA systems permit maximum individualization and differentiation through the integration of the user’s own software modules. This guarantees optimized complete solutions as well as clear market positioning and ensures success in competition. 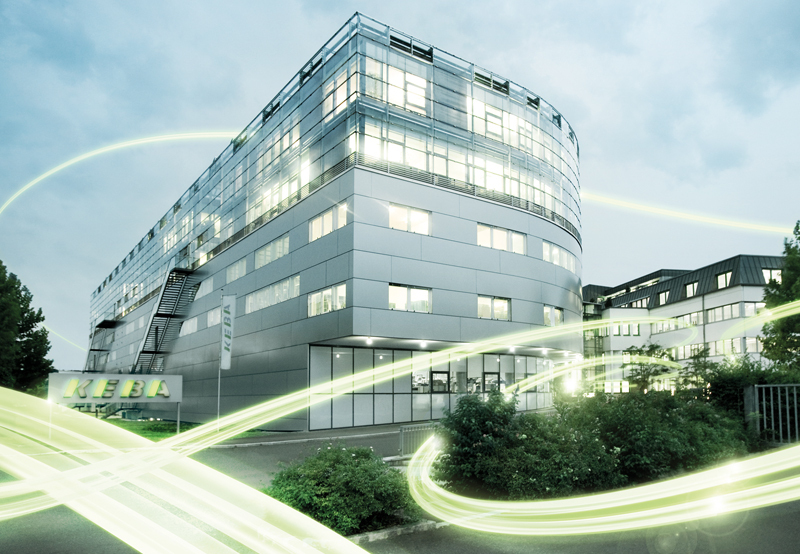 Thanks to high connectivity and the range of interfaces, KEBA systems can easily be integrated in Industry 4.0 systems. Cloud-based diagnosis and remote services guarantee maximum system availability. Modern and flexible operation is made possible through the simple integration of smart devices. All user interfaces from KEBA are well designed and offer intuitive operation and the best-possible user experience. Everything works as easily and as quickly as in the consumer sector, where tablets and smart devices influence day-to-day life. Lean engineering becomes reality. Our customers require customized adaptations particularly for products visible to third parties, such as operating panels. Integration of operating devices in existing customer solutions is easy thanks to extensive customization possibilities with respect to housing construction, logos, operating elements, extension panels and keyboard layout. 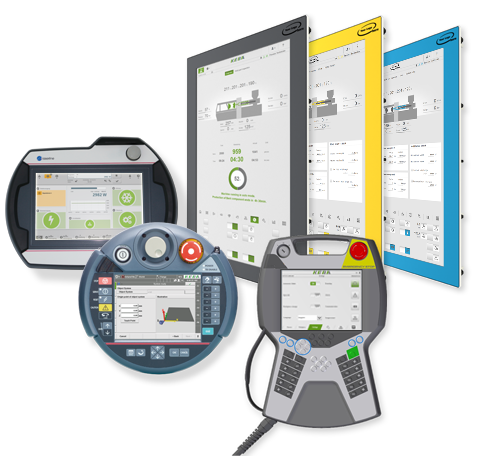 Creation of new HMI applications is quick and easy thanks to an application software. Continuous adaptation to the corporate design is possible due to versatile, graphic options; visualizations can thus be designed in line with individual design and user requirements. KEBA customers enjoy the best consultation and support and get the right control and operation for every application. High-performance and cost-efficient application solutions are the focus. A large team of highly educated application engineers are available worldwide. The locally-based teams put your systems into operation quickly and with skill. European brand quality and innovation leadership through permanent monitoring of the most recent trends help you secure a decisive competitive edge for today and the future. The sturdy products are perfectly designed for use in industrial environments. High-quality materials and processing complement the well-designed solutions for every situation. From the initial consultation to series production support, the KEBA experts are available with their sound knowledge, therefore ensuring quick time-to-market. Furthermore, there are countless technology features which support quick time-to-market. The KeView HMI software ensures quick configuration of HMI applications. Customized software adaptations to process control optimization can be done quickly and easily. At KEBA, you get hardware and software from a single source and the entire development process takes place in-house at KEBA. Through intensive consultation work and constant monitoring of industrial trends, our experts develop solutions which not only conform to standard levels of up-to-date technology, but also anticipate future developments. Furthermore, extremely high-performance production fulfills the ever-growing requirements of our customers on speed and delivery capacity. And also ensures the highest possible flexibility and, last but not least, cost efficiency. Compliance with the highest quality standards is guaranteed by intensive cooperation of all departments from the very beginning. Quality, safety at work, health and environment are of central concern to us. They affect the products, the entire process chain with the people who work in these processes, their working conditions and the environmentally friendly handling of all types of resources. We are committed to complying with relevant laws and regulations. In addition, we are committed to taking measures which contribute to social and economic policy development. This has resulted in our own management system matched exactly to us and our requirements, and always with an eye to economic efficiency and value.